Diabetes is the most prevalent metabolic problem in the today world. It has added up to the leading causes of cardiovascular mortality, chronic renal disease, Retionopathy leading to blindness and neurological problems worldwide. A better control of sugar helps to keep body homeostasis at near normal levels and helps prevent development and progression of most of the complications. The leading organization globally is American Diabetes Association ( ADA ) that has provided few advices on how a Type II diabetic person should train him/herself. Consulting and taking proper advice from your Doctor before starting your training. Risk of hypoglycemia and other accidental events are possibility. Thus we advice you to ask doctors suggestion before starting. Create a proper diet plan. Because only exercise will not lead to more weight loss than 2 kg in average. So a good and healthy diet plan is needed. Know your blood sugar levels ( glycemic status) . Blood sugar monitoring devices can help you keep track of your health at home. American Diabetes Association recommends ~30 minutes of moderate to vigorous aerobic exercise at least 5 days a week or in a total of 150 minutes a week. This does not mean all 150 minutes are done vigorously in 1 or 2 days. At least timing must be divided over 3 days or more. For a fresh starter, recommendation is to start with 5-10 minutes per day, and gradually build your routine over time. Here is a starter walking plan in chart by ADA. What all fall under aerobic exercise? It has been shown that aerobic exercise improves insulin utilization by body and glucose control, allows good weight loss when combined with diet control, and thus improving over all metabolic status, Blood pressure control and risk of Cardiovascular events. These exercise include exercises that build up muscle mass and strengthen your structure. It includes weight lifting, gym, heavy exercises that involves lifting that helps you build muscles. 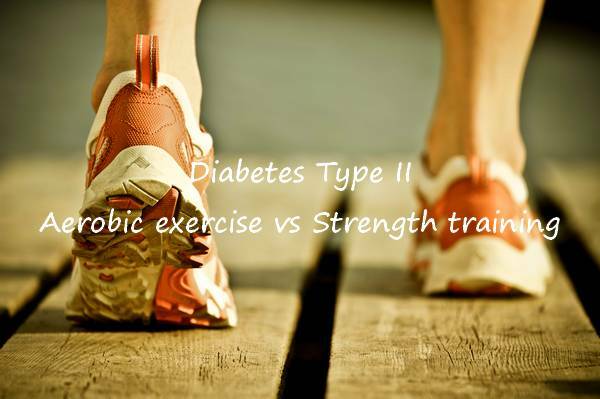 This type of exercise increases insulin sensitivity and hence can reduce your blood sugars. Some medical practitioners have shown their concerns regarding safety vigorous resistance training in middle-aged to older aged people who are at risk of Cardiovascular problems with possibility of provoking stroke, myocardial ischemia, or retinal hemorrhage. Therefore, it is always recommended that you make your diet and exercise plan with your health professional. Read full Resource: ADA, American Diabetes Association. Hyperglycemia and Hypoglycemia before starting exercise can both be deleterious. Exercise during period of Hyperglycemia can worsen Ketoacidosis. It is recommended to avoid exercise if blood glucose is > 250mg/dl. In presence low blood sugar < 100mg/dl before starting exercise, carbohydrate intake is recommended and new guidelines too adheres to this. Exercise in patients with long term morbidities like retinopathy, cardiovascular disease, nephropathy and neuropathy must always be planned in advice of a Medical person. 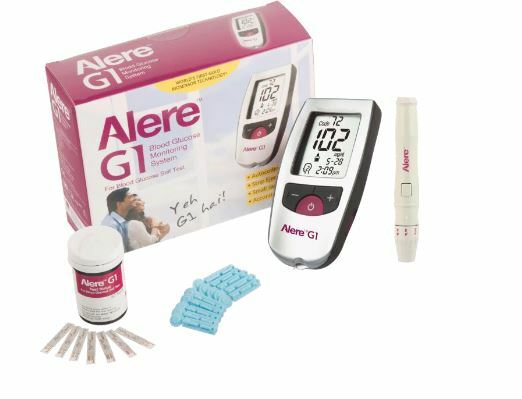 For good adherence and for monitoring blood glucose, Alere G1 glucometers produced by Alere Inc have been proven to be reliable device and is receiving good reviews from the customers. Alere is one of the world’s biggest POCT (point-of-care) diagnostic firms. Alere has the largest suite of world class technologies in POCT. One special feature in this glucometer which most other devices lack is, auto-eject button which works as ‘strip-ejector’ and eliminates manual process and thus ensures better hygiene and infection control. Wide range of detection ( 10 mg/dl to 900mg/dl). Keeps up to 500 reading in memory letting you trace your pattern of glucose control. Can maintain test results for up to 5 different patients. Very accurate results owing to 99.9% pure gold in test strips. User friendly and handy device. All these have made popular among Hospitals and medical centers across India. The test strips are easily replaceable , cost effective and provide lab standard results. It is recommendable product for home use as well for people living with Diabetes. Thus, a properly planned diet and exercise plan with good blood sugar monitoring and involvement of skilled medical personal in your plan is the best way to create a Safe exercise and weight loss plan for patients with Type 2 diabetes. Dr R K Sharma, Blogger and Health professional and writer. He is a free-lance writer and covers medical and health topics across the web in several blogs and news sites.